I am a big fan of collaboration, whether online or in person. As dental technology advances faster and dental professionals have access to increasing numbers of new systems, processes, and technologies, working together effectively and efficiently has never been more important. This is especially true for dentists and laboratory technicians. Inside Dental Technology and the Greater New York Dental Meeting have recognized this and are collaborating to bring ColLABoration 2013 to the dental community. In addition to CE accredited presentations, ColLABoration 2013 will feature digital dentistry live workshops and nearly 100 exhibits focusing on dental technology. Registration for the event is free at the GNYDM website, and it will provide attendees complete access to the Greater New York Show as well. 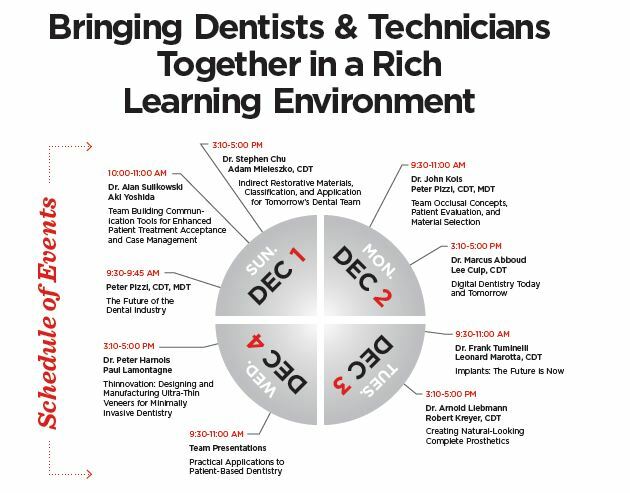 Mark your calendar to collaborate for team dentistry and best practices in patient care this December in New York City. This entry was posted in Dental Technology, Digital Dentistry, Travel and tagged change, collaboration, communication, dentistry, interdisciplinary care, technology, trade shows, vision. Bookmark the permalink.